In case you are wondering, this is not a brand new song, by a remix of the 1987 classic by Hugh Harrison. The remix was done by Charlie Lim. The song was performed by Charlie Lim, Vanessa Fernardez , Aisyah Aziz, Shak.thiya Subramaniamm, THELIONCITYBOY, ITE Show Choir and Last year Sing China! contestant Joanna Dong. It even has the infamous THANOS snap at the end of the video - Does it mean our population would not reach 6.9 million in 2030? 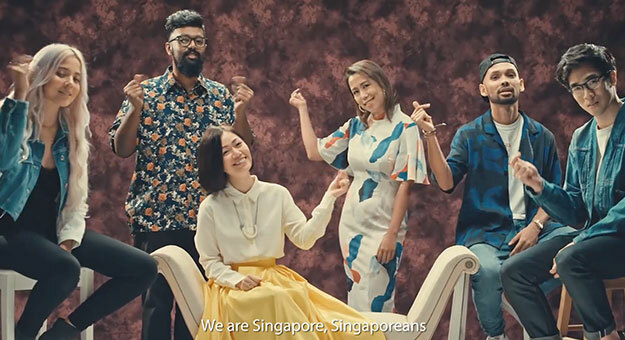 Let's sing it - We Are Singapore, Singaporeans! If you are looking to attend the NDP, try your luck here. Registration opens today. Click here to register. Want to listen to the NDP songs of yesteryear? This is the nice song , I Like the remix of Charlie Lim.